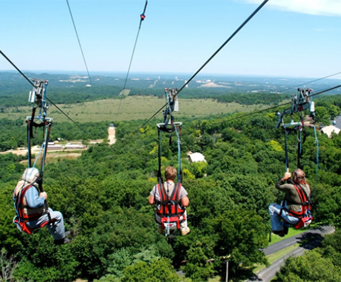 Come embark upon some of Branson's most thrilling attractions. Plus, rest assured that you have two nights' Branson accommodations reserved for a full and enjoyable weekend getaway. This package includes the Vigilante Extreme Ziprider, Xcape Branson, and Ozark Off Road ATV Adventures. 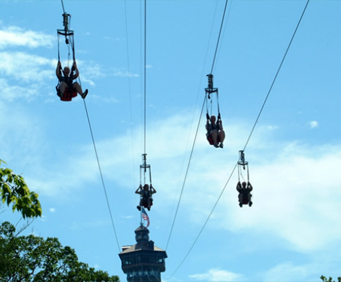 Vigilante Extreme Zip Rider is an amazing attraction that allows guests to zoom across beautiful canopies and enjoy a thrilling time in the Branson area. 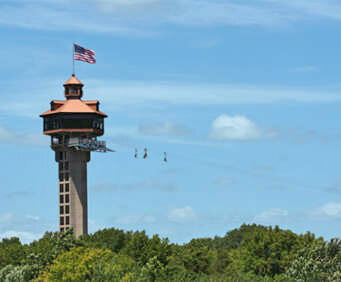 Guests will be able to see views of the Shepherd of the Hills Historic Homestead from Inspiration Tower and enjoy an amazing ride down from 230 feet at speeds of up to 50 mph. Guests will also be able to compete in one of the fun escape rooms at Xcape Branson. These rooms provide a fun challenge, requiring guests to truly put their skills to the test as they find clues and solve riddles to attempt to escape the room in under an hour. Lastly, guests will be able to embark upon one of the amazing Ozark Off Road ATV Adventures. Kick up dirt and have a blast while zooming along some beautiful Ozark wooded areas. This guided adventure gives guests the chance to operate their own off road vehicle for a unique adventure in the Ozarks. This is the perfect way to see the sights and have a little fun on your next trip to Branson. Choose a hotel that suits your needs from one of our many lodging options. With so many things to see in Branson, it's best to explore by land and sea with the Adventures in Branson package.